Successfully saved Pesto Pulse Pasta with Roasted Zucchini to your Calendar. You can also save the ingredients to your Grocery List. 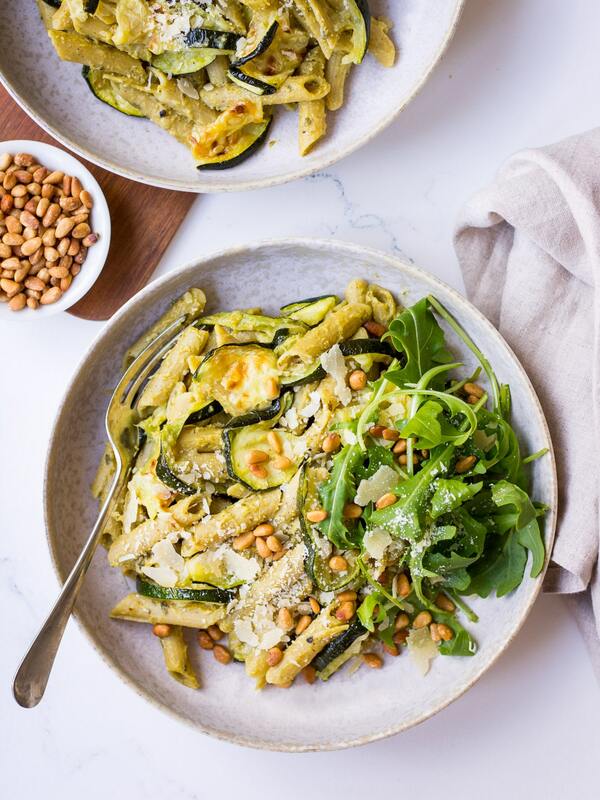 This delicious pesto pulse pasta is mixed with oven roasted zucchini, parmesan and pine nuts for a simple healthy vegetarian dinner that's easy to make!